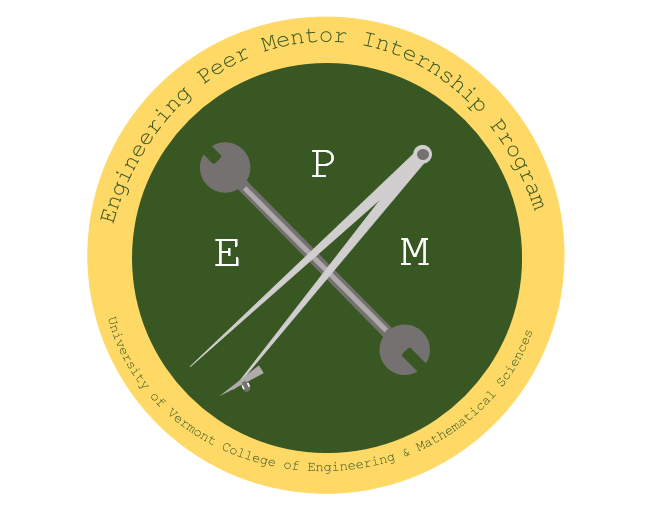 The Engineering Peer Mentor Internship Program is part of the UVM Student Government Association's university-wide peer mentoring and advising initiative. Engineering Peer Mentors (EPM's) are sophomores, juniors and seniors in engineering who provide academic and social support to first year students throughout the academic year. During the fall semester, the EPM Internship Program is connected to ENGR 050, a first year seminar course designed to integrate new first year engineers into their majors, the College of Engineering & Mathematical Sciences, and the University of Vermont. EPM's support and facilitate ENGR 050 lecture activities and regularly communicate and meet with mentees outside of the lecture setting. Through regular classes sessions, communication, meet-ups and social activities, EPM's help first year students adjust to life as a college student, find academic/tutoring help, connect with clubs, activities, and services on campus, and generally navigate CEMS, UVM and the Burlington area. 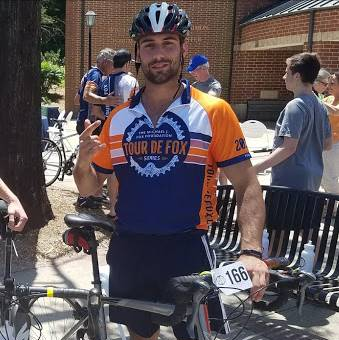 Alex Allardi Alex Allardi is a Mechanical Engineering Major and Electrical Engineering and Math Minor from Massachusetts. He has worked with Academia Sinica in partnership with Smithsonian on The Greenland Telescope Project. This telescope will be used to observe black holes. Alex is a member of the UVM Cycling Team and works currently for Earl's Cyclery and Fitness, a bike shop in South Burlington. 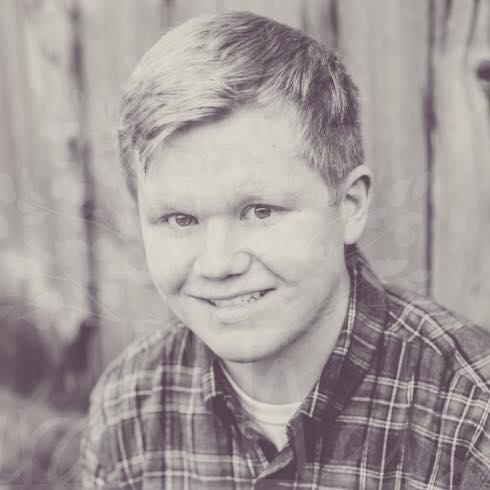 Alex enjoys road trips, biking, skateboarding, and being outdoors. His favorite cookie is oatmeal raisin. Vasiliki (Lili) Anemikos Lili is a third-year biomedical engineering student from Milton, Vermont. She spent this past summer traveling the Greek islands and working as both a cake decorator/baker in her local bakery and a research assistant on an adolescent brain development study at the UVM medical center. In her free time, she enjoys baking, painting, hiking, and kickboxing. 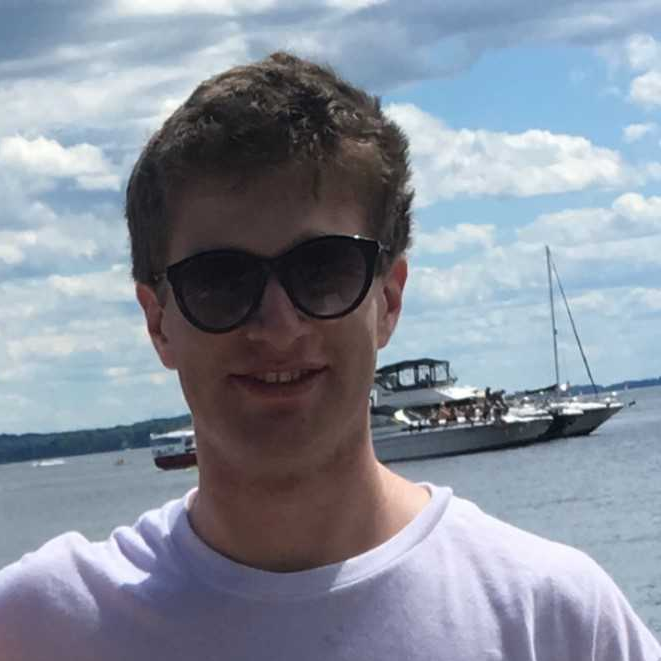 Matthew Beecher Hi everyone, my name is Matthew Beecher and I am a senior who is studying electrical engineering. Although I am pursuing electrical, I have an interest in biomedical engineering as well. My hobbies include basketball, video games, and hanging with friends. I am from Winchester, Massachusetts and I'm an avid Boston sports fan. Celtics for 2019 NBA champions. Nicholas Brustin My name is Nick Brustin and I am a junior Civil Engineering major. This summer and last summer I spent my time working at a civil engineering firm as an intern in North Conway New Hampshire. I spend most of my free time outside in the white mountains, hiking, camping, and biking. I have spent a lot of time traveling, and the coolest place I have been to was Nepal, where I traveled around the country taking in the culture and meeting some incredible people! Margot Criscitiello Hi everyone! My name is Margot Criscitiello, and I am a senior electrical engineering major with music and math minors. I am from Hingham, Massachusetts and have two triplet sisters. 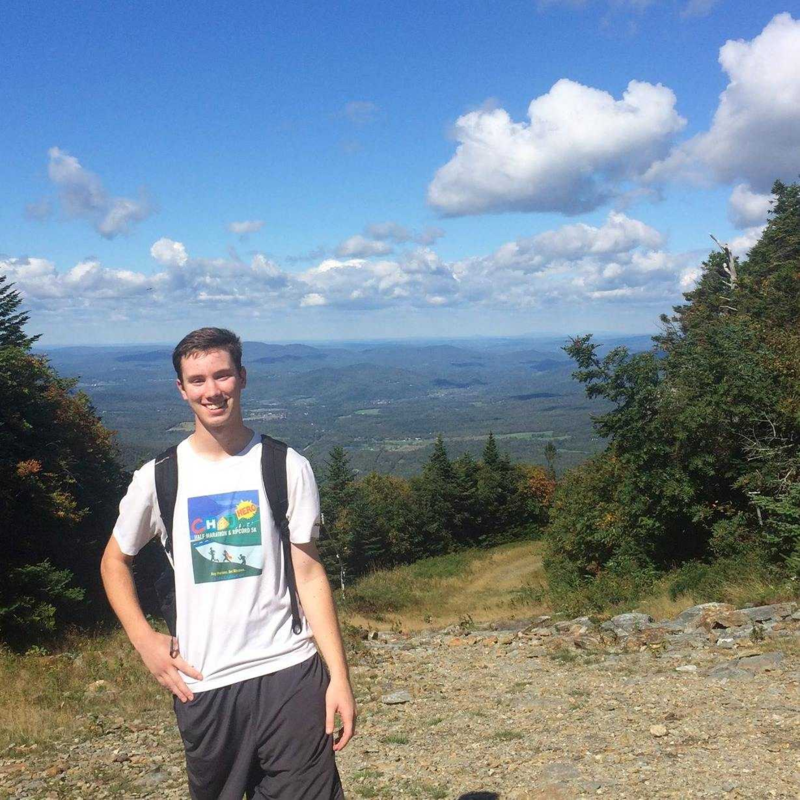 I love hiking, skiing and exploring, and I’m happy that UVM is such a perfect place to get outdoors. On campus outside of academics, I am part of UVM’s Concert band, the Celtic Cats Irish dance group, and love playing intramural sports! This summer, I worked as a wireless engineering intern at Bose and had a wonderful experience. One of my favorite places is Scotland, where I studied abroad my sophomore year and learned all about bagpipes and Scottish history. I’m excited to get back to campus and meet you all! Holly Dahlgren My name is Holly and I am a senior biomedical engineering major from Essex Jct., VT. I am the treasurer of the Society of Women Engineers and enjoy drinking coffee and tea. This Summer I am taking two courses through UVM and continuing my internship as a Medical Equipment Test Technician with Technical Services Partnership in the University of Vermont Medical Center. In my free time I enjoy hammocking, doing yoga, hot-tubbing, and eating pizza and ice cream (preferably Ben & Jerry's). Darija Dilba Darija is biomedical engineering junior from Massachusetts. During the summer she loves to travel with her family. This summer she worked as a lab assistant intern at a molecular insights company in Boston, MA. She enjoys running outside, hiking, and kickboxing during her free time. Frances Eisinger Frances is a junior environmental engineering major and math minor. This summer she received a Richard Barrett Scholarship through UVM to do research with Professor Britt Holmen about the chemical composition of biodiesel exhaust. Her favorite ice cream flavor is anything with chocolate. The coolest place she has been to is hot springs in Nagano, Japan where the snow monkeys hang out. Frances really loves being outside; rock climbing, hiking, swimming, skiing, and also cooking, eating, traveling and trying new things! Evan Fennelly Evan is an electrical engineering senior from Warren, Vermont. This summer he worked as an intern at Raytheon in Massachusetts. At UVM, he is a member of IEEE and the president of the Golden Key International Honor Society. In his free time, Evan is most likely hiking or skiing. He is also a Sugarbush campus ski rep at UVM. He is looking forward to an electric year! Jonathan Ferri Jon is a biomedical engineering major with an electrical engineering minor from the concrete jungle of Windham, NH. This summer he is interning at a local engineering firm (LORD-Microstrain) while enjoying all that the Old North End has to offer! Around campus, Jon plays on the club soccer team, listens to the new Dispatch album with his ill-advised man-bun attempt, and does research work for the beloved Dr. Ryan McGinnis. In his free time, Jon enthusiastically watches and does his best to paint along to PBS’s the Joy of Painting, with Bob Ross. Gretta Groves Gretta is junior biomedical engineering major from Middlebury, Vermont. This summer, she worked at the University of Vermont Medical Center as a registration representative. Her favorite flavor of creemee is maple, and she is Vice President of the Society of Women engineers at UVM. In her free time, she likes running short distances, exploring the Adirondacks, hammocking, and biking. Josh Goodrich Josh is a mechanical engineering major at UVM from Norwich, VT. This summer he worked as a Manufacturing Engineer Intern at UTC Aerospace in Vergennes, VT. There, he worked on CAD drawings and helped qualify machines for use in the factory. His favorite ice cream flavor is mint chip. During his free time, he enjoys hiking, water skiing, downhill skiing, and playing golf. Paige Hamilton Paige is a junior Biomedical Engineering student at UVM originally from Stowe Vermont. In addition to being an engineering peer mentor, she is also one of the founders of the living and learning program Women in STEM and Health, the president of UVM Society of Women Engineers, and works at TSP repairing medical equipment for the UVM Medical Center. 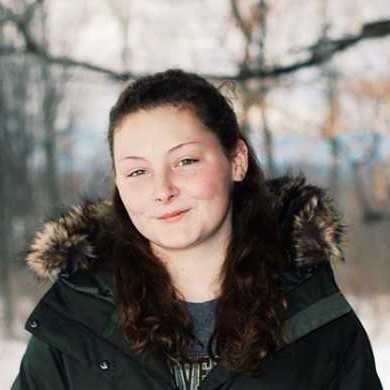 In her free time, Paige likes to ski, hike, travel, cook, and volunteer with the Girl Scouts. Abigayle Hodson Hi there! 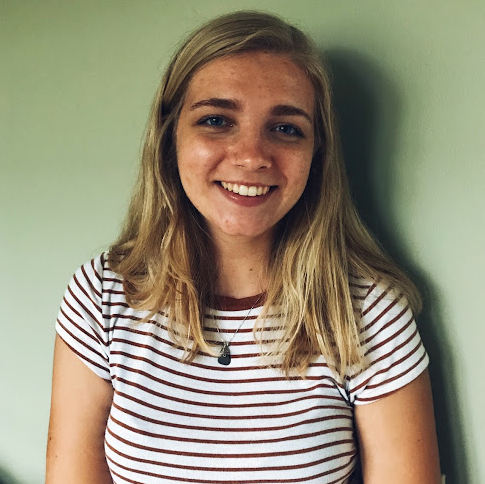 My name is Abby Hodson, and I'm a sophomore environmental engineering major from Monroe, Connecticut. Like many other UVM students, I'm a Ben and Jerry's lover currently on a quest to try every single flavor. Currently, I've tried 29/52! In my spare time, you can find me long distance trail running to accommodate my ice cream addiction. When I'm not working or running, I love walking my slightly overweight, extremely sassy beagle, learning to play eighties hits on the guitar, and taking care of my family's four chickens. Excited to meet all of you! Eliza Jobin-Davis Eliza Jobin-Davis is an environmental engineering junior with a minor in economics, from upstate New York. 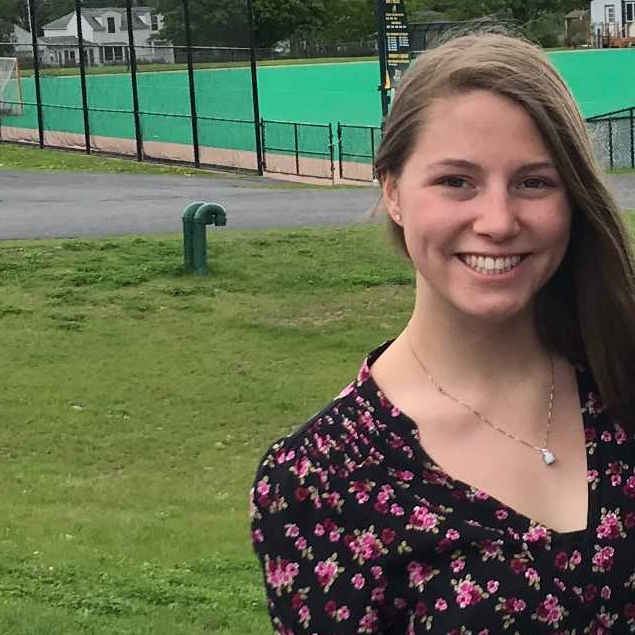 This summer she performed research with an Augmented Reality Sandbox as one of UVM's Richard Barrett Scholars and ate an inordinate amount of ice cream. She loves spending every second of her free time outdoors and drinking tea and is obsessed with anything green. Conor Joyce Conor is a biomedical engineering sophomore from Hartford Vermont. 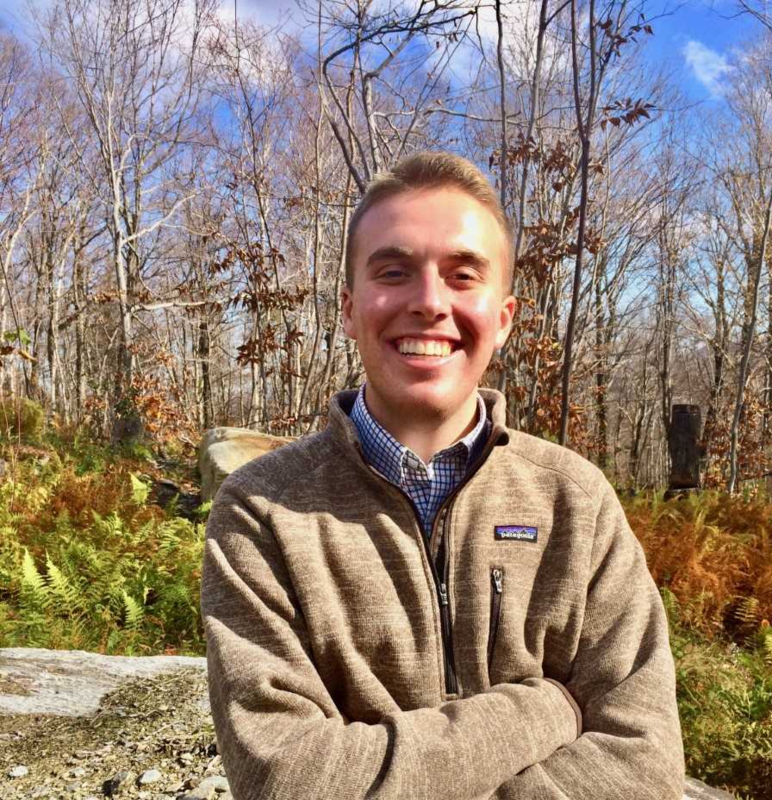 During the summer he gives amusement park rides and Segway tours at the Quechee Gorge and during the winter he teaches skiing at the Quechee ski hill to children ages 3-8. His favorite ice cream flavor is chocolate and vanilla twist. Outside of school, he enjoys climbing, fishing, swimming, and skiing. Meredith Kelly Meredith is a biomedical engineering senior from Milton Massachusetts. This summer, she worked as an Engineering Instructor for the company Play-Well, which goes around to different summer camps and teaches children engineering through the use of Lego’s. She also spent a portion of her summer vacationing on Cape Cod. During the school year, she loves playing volleyball and doing Zumba. Julio Lopez Linehan Julio is a biomedical engineering junior from just East of beautiful, scenic nowhere Vermont. When on campus, he can usually be found staring longingly into Harris-Millis dining hall, counting peanuts for the Biomedical Engineering Society, or chasing down his favorite prey, Rallycat. In his free time, Julio likes to draw on other people, politely open doors, and generally be a slave to the capitalist establishment. His favorite food is definitely not pizza, and his best friend is definitely Dante Newman. Alice Murphy Alice is a electrical engineering senior from Tewksbury, Massachusetts. Within electrical engineering, she is interested in artificial intelligence, signal processing, and biomedical instrumentation. 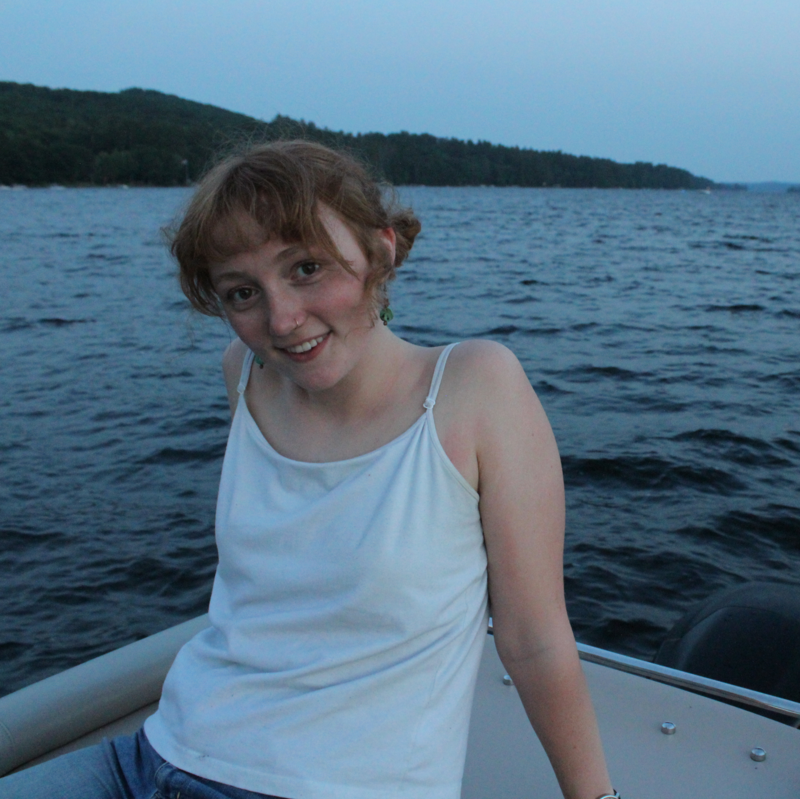 This summer, she worked part-time at Lake Champlain Chocolates on Church Street, took online courses in music and mathematics, and lived in Slade Ecological Cooperative. Her favorite ice cream flavor is mint chocolate chip. In her free time, she loves to play guitar, thrift shop, draw, care for her cat-son (Jimmy), boogie at local shows, and share home-cooked meals with other Sladers (and possibly you!). Eric Neimoller Hi! 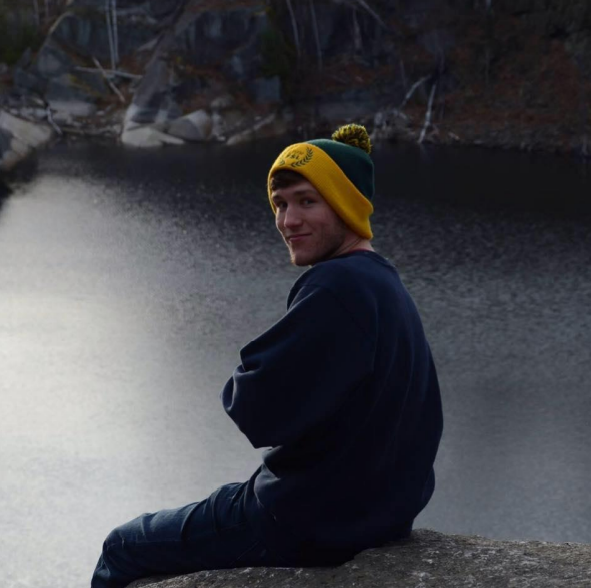 My name is Eric Niemoller, and I’m a returning junior studying mechanical engineering here at UVM. Other than having a grand old time studying, I am apart of the Club Soccer team and ASME. This will be my second year as an Engineering Peer Mentor, and I’m stoked to get to meet my new group! Some things I love: dogs, ice cream, and that period of relief when finals are over! Last spring semester, I studied abroad in Florence, Italy. I’ll try not to be that guy that keeps talking about my amazing experiences, but I will try to convince you to study abroad while you’re here at UVM. I can’t wait to meet everyone! Dante Newman I’m Dante Newman and I am very excited to be an Engineering Peer Mentor again this year! I am currently a rising junior mechanical engineering major with an electrical engineering minor. I am from Grafton, Massachusetts and am currently working with a construction company located about a half hour outside of Burlington. During the school year, I am involved with UVM’s chapter of the American Institute of Aeronautics and Astronautics, serving as vice president and helping the club get more involved. In my free time, I enjoy hiking and traveling with friends and family. I am also an avid skier which makes UVM a great place for me. Joe Nuzzolo Joe is a senior Mechanical Engineering student from Connecticut. This summer he finished a year-long co-op program, working as a product designer/research & development engineer. The remainder of his summer was spent building homes with the family business and enjoying the company of his large extended family on weekends. At the moment, his favorite pint of Ben and Jerry’s is the Americone Dream. 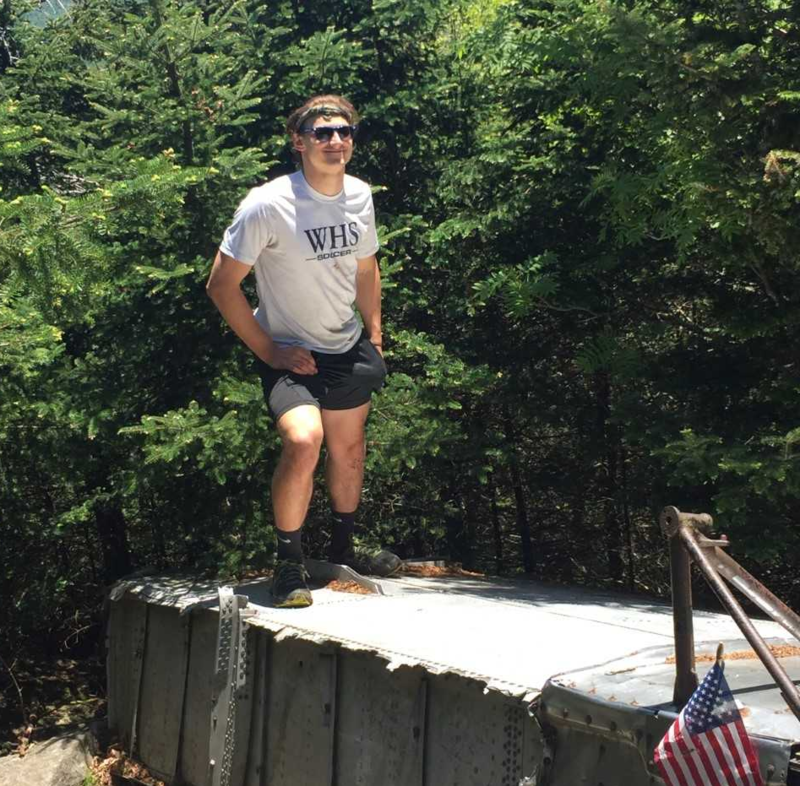 In Joe’s free time, while he is not deep in the books like a good student, you can find him skiing down mount Mansfield, hiking to sterling pond for some fly fishing, or having a BBQ on Leddy beach. 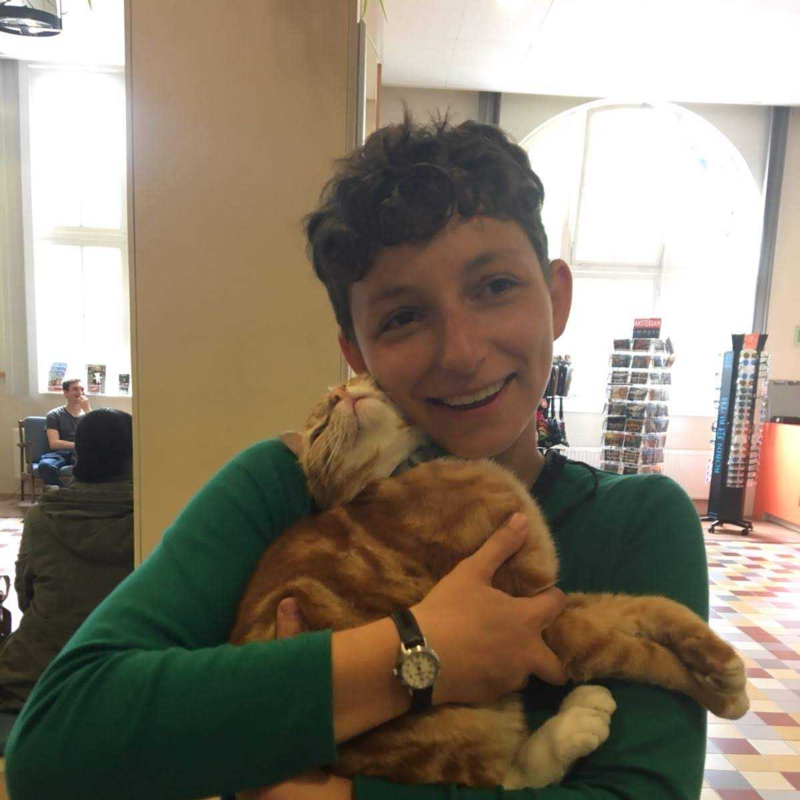 Marshal Pesaturo Marshal is a sophomore at the University of Vermont where he studies Civil Engineering. He is also a member of the University's ROTC program along with the Men's Club Volleyball team on campus. 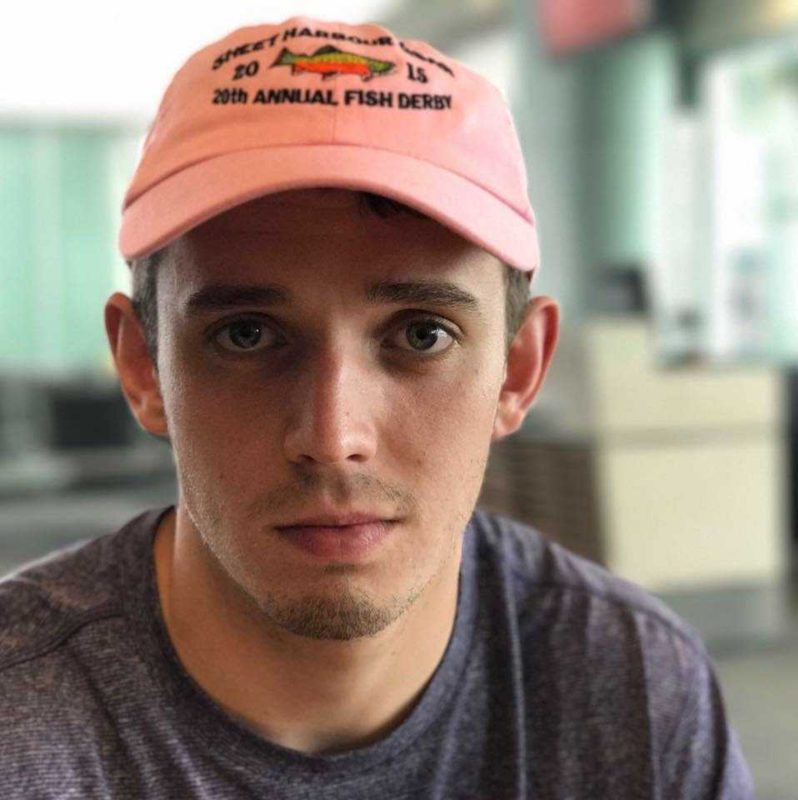 Marshal's summer was spent working full time as an intern at a small engineering firm where he learned the in's and out's of surveying and AutoCAD design. He also spent two weeks during this past summer on a road trip down the east coast. During the winter time, Marshal enjoys skiing. 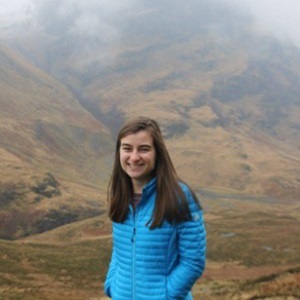 Sienna Roberge Sienna is an environmental engineering senior from Maine, who is also pursuing an accelerated master’s degree in civil and environmental engineering here at UVM. She is an avid steward to her local and global communities and is the Co-President of the school’s Engineers Without Borders chapter. This summer, Sienna worked as an Engineering Consulting Intern at Woodard and Curran in Portland, ME. In her free time, Sienna loves rock climbing, singing, camping, and exploring the restaurants around Burlington! 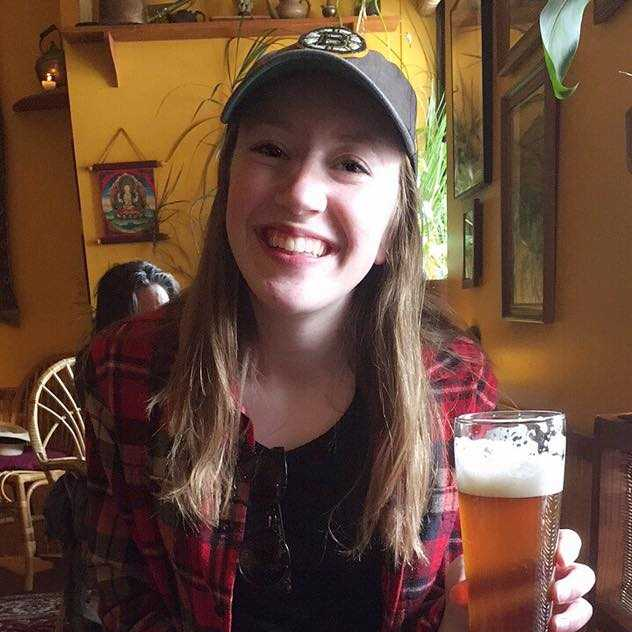 She highly recommends Ben and Jerry’s, where her favorite ice cream flavor is Phish Food, and Dobra Tea, where her favorite drink is the Staroborshov tea (as shown in her picture). Emily Ryan Emily is a junior mechanical engineering student from northern California. 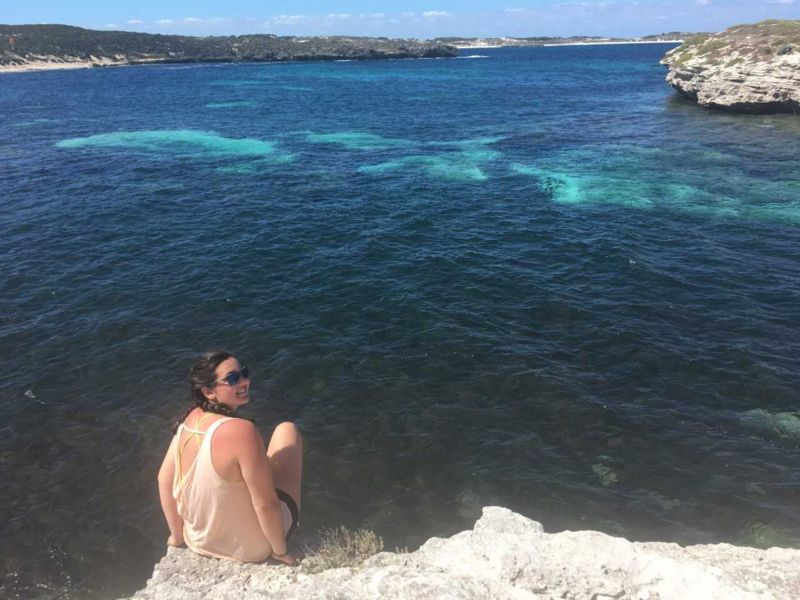 Last semester, she studied abroad in Western Australia, soaking in the warmth and sunshine of an Aussie summer. When Emily isn’t studying, she enjoys anything to do with mountains, be it skiing and snowboarding or finding a good spot to string up a hammock. The thing she missed most while away from the states was a decent cheeseburger. Sharwari Salvi Sharwari is a civil engineering major and plans to minor in Spanish. She is from the Great Lakes state of Michigan where she took a summer physics for engineering course in Kalamazoo, MI! This summer she also did a bit of traveling to Ireland, Iceland, and New England. Her favorite flavor of Ben & Jerry’s Ice Cream is the PB & Cookies Non-dairy. 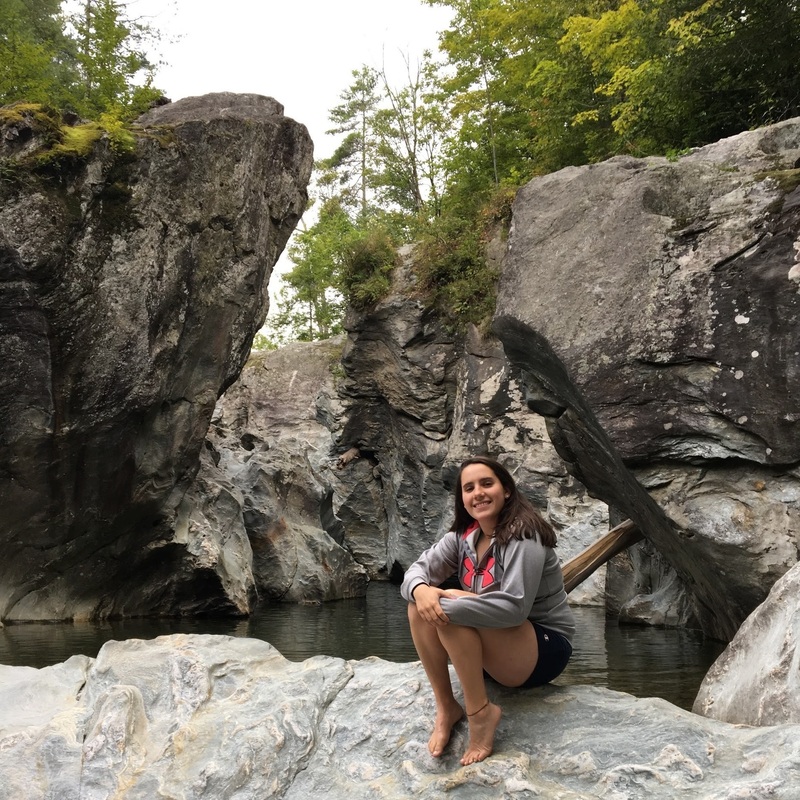 During her free time, she enjoys rock and ice climbing where at UVM she is involved in the Outing Club as a rock and ice climbing leader! Joshua Taylor Josh is a senior from Western Mass majoring in civil engineering and pursuing minors in computer science and geospatial technology. This summer he worked at RSG, a research and consulting firm in downtown Burlington, doing traffic based engineering. 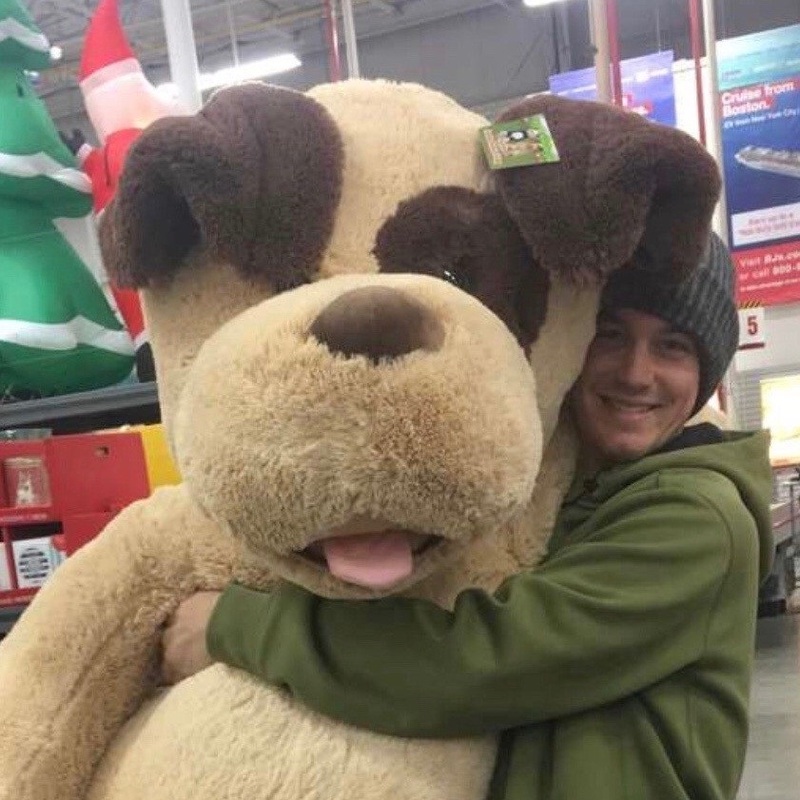 During his free time, Josh plays on the club football team and enjoys playing soccer and snowboarding. Favorite foods include, but are definitely not limited to, shrimp, wings, and apricot tea. Heidi Thorne Heidi is a Civil engineering senior (with a minor in Electrical Engineering) who is originally from western Pennsylvania. Heidi spends a lot of her time working at a tech shop in Burlington but when she is not working, she is spending time with her dog Holly, going on whatever outdoor adventures her dog wants to take. This past summer, Heidi did research at UVM for the National Parks Service. Her favorite ice-cream treat is a maple black-raspberry twist with chocolate sprinkles from Burlington Bay. Nina Truslow Nina is a senior studying Civil Engineering and Community & International Development. She spent the first two weeks of the summer biking across The Netherlands to learn about Dutch water management and sustainability strategies. She is really excited to spend the summer in Burlington, working as an intern at VHB for the Transportation, Structures, and Land Development departments. She loves to read, cook, and spend time outside. Haley Rose Warren Rose is a biomedical engineering junior from Virginia. This summer, she interned in the Little Devices Lab at MIT. She has what is probably an unsustainable number of hobbies alongside her schedule: reading, writing, cooking, jewelry-making, hiking, skiing, and violin. She’s not sure whether Mt. Rainier or the Great Wall of China is the coolest place she has ever been; each is awesome for different reasons. And lastly, while Rose thoroughly enjoys ice cream, she does not actually have a favorite flavor. Yale Young Yale is from central Vermont and is a senior studying electrical engineering. He is a member of the Catamount Pep Band as well as the UVM Concert Band. This summer, Yale worked as a bartender while taking online courses to satisfy his diversity requirements. During his down time, he enjoys playing piano, disc golf, and tennis.